Burmese Children Praying in Tongues for Hours! ..sang the aging Rev. Phijo (Pea-joe) who had been minister his whole life. 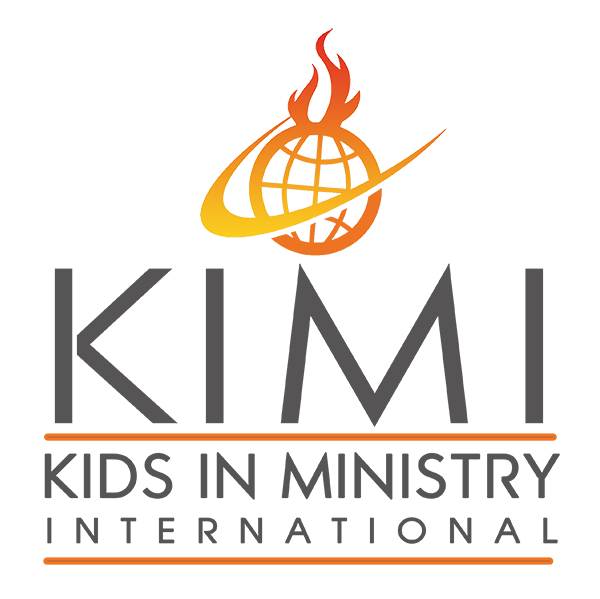 He smiled and danced for joy at the news we taught that God is using children all around the world for His kingdom purposes in signs, wonders, and miracles. 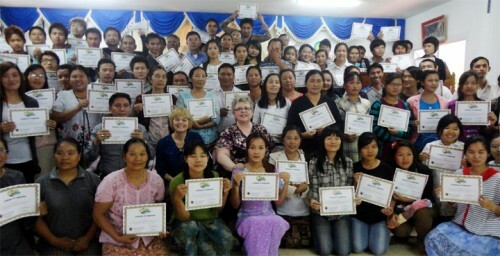 This took place in a unique PowerClub training conference in November 2012 in Mai Sae, Thailand, where one hundred Burmese pastors and leaders, each carefully selected from different tribes, tongues and regions of Myanmar (Burma), crossed the Thai border everyday to be trained in childrens’ ministry. What was most unique, and a “first” for my coworker Pamela Ayres and myself, was that our host, Pastor Lu, a third generation Pentecostal minister, has great favor with Baptist and Presbyterian pastors all over his nation. That’s who these one hundred pastors and leaders were! There were only one or two Pentecostal preachers in the whole bunch! Throughout the four days of training, Pastor Lu was constantly exhorting us to be careful not to mention speaking in tongues, or being slain in the Spirit, or anything else that could be deemed as controversial. At the same time, he wanted us to bring the Pentecostal message. No pressure! So we were as careful, yet bold, as we knew how to be. Children Speaking in Tongues for Hours! The amazing results were, we felt surprisingly free in to share our message, and quite spontaneously we found ourselves teaching the pastors how to lay hands on the sick and pray for their healing, as well as learning to listen to the voice of God. We even had them try their wings at giving prophetic words! And they did it! We were giddy at taking pictures of these mature, seasoned pastors laying hands on the sick for the very first time in their lives, and seeing four ladies healed! “I called seventy Myanmar leaders and found that all of them have started PowerClubs in their villages now and the Holy Spirit is moving and working among the children in an amazing way. Forty eight of the pastors have seen the work of the Holy Spirit in a great way and recognized and accepted even speaking in tongues. The other day two pastors called me that thirteen of the little kids received the baptism of the Holy Spirit in their village. They did not teach them to speak in tongues but the little kids start speaking in unknown tongue anyway. They said the unknown language keep coming from the mouth of many children for hours. Another pastor said that they have forty seven little children in their village and half of them start speaking in tongues when they did the altar call. They have never ever done like this before. A Fire Which Cannot Be Stopped! The beautiful part of this experience is that even the adults had to learn from the kids in terms of spiritual gifts. The leaders told me that the filing of the Holy Spirit, speaking in tongue and falling, shaking, singing a spiritual songs, crying out in tears are happening only during the altar call and praying. God is using the kids in the villages. Even adults, and those leaders and pastors have learned so much practical things from the kids being used by the Lord in the villages during this time. TO SEE MORE PHOTOS OF OUR BURMESE TRIP CLICK HERE. Glory to God ! Becky, this is what we all pray for!! Thank you for being faithful and obedient (even when we don’t understand why), He is strategically moving us into places of resistance and overcoming them with the POWER of the Holy Ghost ! God prepares the way and we walk in it ! Love you sister ! God is so very good ! Your fellow servant, Pat G.
Becky, if you remember Scott and I rescued two Burmese girls and brought them home as foster children when they were ages 15 and 16. They’ve since moved out and are living in the USA, but I can tell you that the majority in Burma are Baptists and, as you see here, such sweet people! I am thrilled that God moved in after your conference with them and gave them HIS opinion on the fullness of power. Burma has been on my heart for years and I used to write for Jim Jacobson’s magazine for Christian Freedom International, a mag that highlighted persecuted Christians worldwide. I just wanted you to know that I see Jesus in this! could have heard a pen drop it was so quiet. This is a wonderful report Becky. I am so thankful that Burmese children can be filled with the Holy Spirit. That your ministry needs to be taken to the nations. After reading your report, I can only say “praise God! He is sovereign! I hope you had a wonderful family time celebrating CHRISTmas, and wish you the best year ever, seeing God’s open doors and blessing in every way! Love the updates. Keep up the good work. You do the most important work on the planet! You brought tears to my eyes Becky. The poorest most opposed children, God’s mercy is so wonderful. I have been to Burma. I have seen it before they opened doors there. Even now, so much courage your team had. Jail is always waiting for those who preach the truth in these “closed” countries. I didn’t preach very much when I was there. I was too afraid. So much guts your teams has. Wow!!! Proof again that the mercy of Jesus is all over the world. Just imagine praising Jesus for all the wonderful things he does in the Holy Spirit, praying for their sin sickness in tongues. Jesus is so good. What a wonderful Savior we have. Keep pushing forward Becky. Don’t let anyone discourage you best buddy.